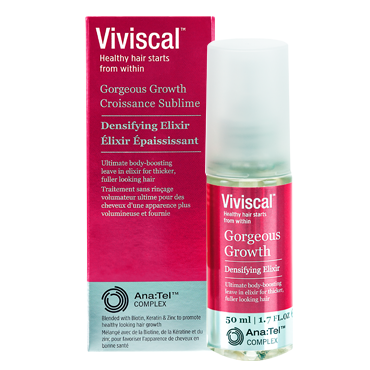 Viviscal Gorgeous Growth Densifying Elixir is the ultimate, body-boosting, leave-in treatment for thicker, fuller and gorgeous looking hair. 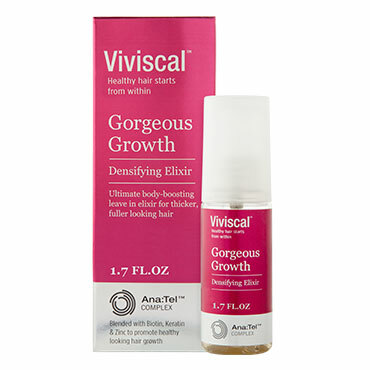 88% of consumers agree that Viviscal Gorgeous Growth Elixir does not weigh down hair or make it feel greasy+. 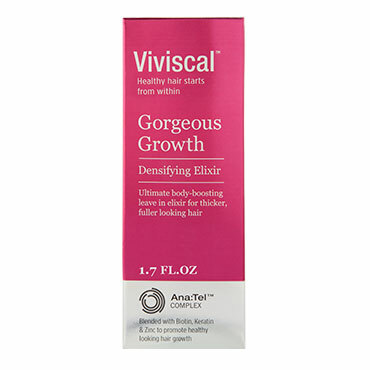 Viviscal Densifying Elixir promotes gorgeous hair as part of the complete Viviscal Gorgeous Growth Densifying collection. 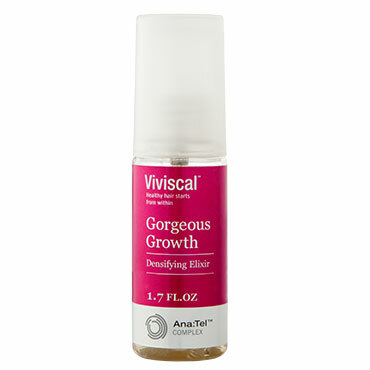 Only the Viviscal Gorgeous Growth Densifying collection contains Ana:Tel™, a proprietary complex that includes clinically tested ingredients derived from natural sources, such as pea sprouts and grape seeds. Combined with Biotin, Keratin and Zinc, the Gorgeous Growth Densifying collection promotes the appearance of healthy looking hair growth. 9 out of 10 consumers said their hair appeared thicker and fuller after just 1 week of using the Viviscal Gorgeous Growth Range+.